NOTE: This review will contain some spoilers. If you’ve read the book, well, everything’s pretty much spoiled already so go ahead! But if you haven’t & you want the pure and untainted experience, go read it now, before you read this. NOTE x2: And if you want to read my book review first, you can find it here. When I heard they were turning TFIOS into a movie, I was somehow excited, even though I didn’t really enjoy it that much when I read it. Something about the fact it was being recognised enough to be turned into a film was super-cool to me. Thankfully, it’s opening the door for movie adaptations of John Green’s other book(s), in particular Paper Towns, which was actually the first one I read and is possibly still my favourite. So, on hearing the news, I went back and reviewed my review of the book, and I wasn’t really sure how I felt about it anymore. While I stand by what I said, the wealth of other reviews that have flooded the interwebs even since then has made me want to reconsider a bit. It may sound horrible, but I wanted to bump the score down a bit because I felt that it didn’t really match my opinions expressed in the review. I really didn’t like it that much, yet still I felt a strangely strong compulsion to see the movie. To give you a feel for the types of reviews I’m talking about, here’s one by Beckie0 where she absolutely tears the book to shreds. And while I disagree with many of her points, I also agree with a lot of what she said, however I thought some of these sins could be washed away by the glossiness and brevity of the movie version. In fact, a lot of the things I disliked in the book, I thought would be negated when it became a movie. And to some extend I was right. The movie did do away with much of the philosophising that was so heavily present in the book; for better and for worse. One of the best things about all that philosophising was that it gave the book depth. Even if it didn’t seem very natural or fitting with two teenagers, it was what made the book contemplative. It was why I found it interesting and worth coming back to over all those months, beyond the preaching and the love story. It was both the condemning and redeeming feature of the book in different places. Instead, the movie throws it all away and contents itself with sticking to choice quotes that you could’ve found on the Tumblr of a over-enthusiastic fangirl. And even then, many of the lines are presented in such isolation and without any of the surrounding conversation that appeared in the book, leaving them even closer to meaningless. Some are so useless, they surmount to fan service, e.g. “I’m on a rollercoaster that only goes up” is said by Augustus, however that’s all he says on the matter. That’s not the only stuff they cut. Basically, they cut anything that wasn’t to do with the love story. The movie starts where the love story starts, and the movie ends where the love story ends. The “sad, boring life before Gus” is shortened down to one scene where Hazel stares at a couple kissing in a shopping centre. They even got rid of the curious little girl asking about the oxygen tank. And the scenes of mourning and grieving are just compacted into two scenes: at the funeral and with Isaac. Another thing that seems to have hit the cutting room floor is Hazel’s sass. Gus still has bag-loads, but Hazel seems to be missing a lot of hers. She seems like a passenger on this ride he’s just dragging her on. There are only a few point where she says funny, coy things, whereas she seems to be saying them all the time in the book. One of the other redeeming factors of the book, in my opinion, was its sometimes graphic, no holds barred depiction of what it’s really like to be and be with a cancer sufferer. The disgusting and gory mess that it turned into after Augustus got sick really grabbed you by the scruff of the neck and gave you a tiny glimpse of not only their suffering, but that of their carers. It’s not that I like gore, it’s just that I felt that a story like this uses it in an appropriate way to make you realise the horror of their suffering. The movie, in contrast, totally ignores all of this. Apart from that one scene when Gus goes driving in the middle of the night to get more cigarettes, there’s never any visible sickness shown. It’s not nearly as gory and messed up as I remember it. In fact, even that mainly consists of a large amount of dribble and some sort of redness on the abdomen. I wanted puke. I wanted real disgustingness, although I can understand why they wouldn’t want to include that sort of thing. That’s not to say that they couldn’t have somehow included it. As it stands, it’s totally absent. That said, the other medical stuff they do have, and the way they express it is done in a relatable and understandable fashion. Seeing them and hearing them talk about their conditions and procedures reminded me of the people I know that have, not had cancer but, been seriously ill or cursed with other afflictions no less significant. Realising that I knew multiple people that have gone through a mixture of these symptoms and operations made the whole thing much more real and serious for me. And apparently it’s rung true for people actually familiar with cancer too, according to these reviews I’ve read. The passage of time in this movie is really unclear, and sort of confusing. For example, we’re told Isaac is supposed to be getting his eyes chopped out near the start of the movie, however he pops up a few more times before he loses them. It’s not until at least an hour in that he’s definitely lost his eyes. That implies that the movie happens over only a short amount of time. Maybe a few weeks. My understanding when I read the book was that it was over many months, maybe even a year. I think if you interpret it as happening over the course of only two or so months, the whole thing seems rush and super intense. Whereas if it happened over a few months, it’s more relatable and believable, that they fell in love, to quote Hazel herself “slowly, and then all at once”. There were particular scenes in the movie where Augustus or Hazel would say something to the other, and any normal person would’ve responded with “okay”, but of course, they can’t because that would’ve started an “okay”-off. So instead, some exchanges felt a bit stiff and unnatural. Despite what many people have been reporting, I didn’t cry. In fact, the scene in which I got closest to crying was when Hazel has that really big fight with her parents about how she’s destroyed their lives and her death is going to wreak them. It was a really emotional scene. Much more than any scene with or around Augustus. In the process of writing this review, I’ve actually referred back to the book a bunch of times, and found myself lost in enjoying reading it. It really had a bit of charm, and attention-holding power. In fact, as I near the end of writing my review, I find myself more in love with the book than I even have been. Unfortunately I still can’t say the same for the movie. If you loved the book for its love story, you (most likely) won’t be disappointed by this movie. If you enjoyed the morals, symbolism and questioning that the book raised for you, you’re likely going to be severely disappointed with this film. If you haven’t read the book, there’s going to be a bunch of stuff that goes over your head, and a bunch of stuff that’ll seem pretty odd, but just trust me when I say that there probably was some sort of good reason it was that way, it’s just that that explanation’s not included in the movie. Maybe the Extended (Little Infinities) Edition will fix some of that, but I wouldn’t hold my breath. On the way home from the film, I was thinking about what would’ve happened if Augustus had never existed. Hazel probably would’ve continued being a pseudo-intellectual who never bothered to express any of her thoughts or feelings to anyone because she refused to reach out or open up to anyone, despite the best efforts of her mother and father. She would’ve lived whatever remaining days she had being unadventurous, just living quietly in her family solace, dreaming of understanding. So, really, the moral of the story seems to be to go out there and talk to people. 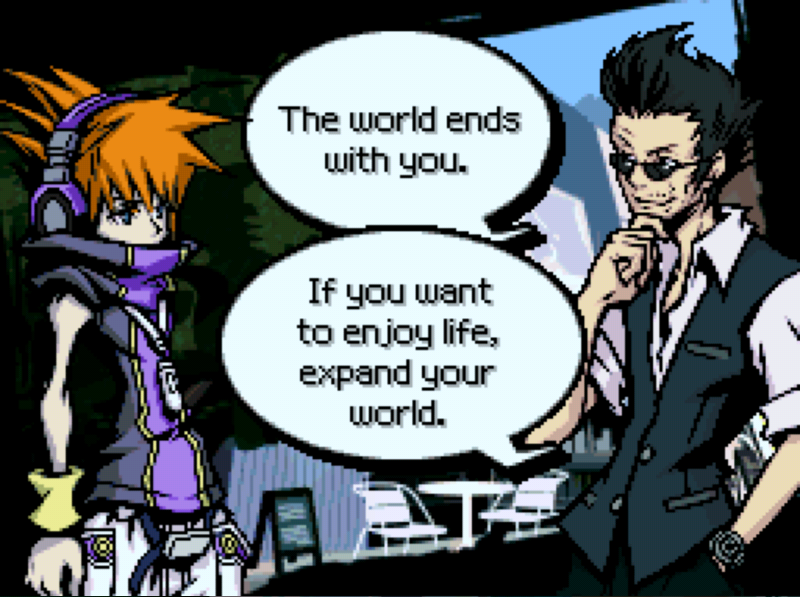 Meet and interact with people, because that’s how you expand your world. And who knows, maybe they’ll be really great! Overall, I’d have to say that, while not the best movie ever, it does a reasonable job of trying to capture certain elements of the source text. 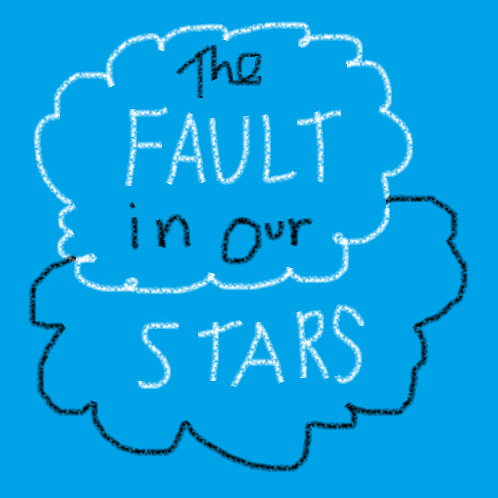 If you asked me what I thought of it, I think I’d have to say it was “Okay”…..
Have you seen The Fault In Our Stars? Have you read the book? What did you think of each? Did the film live up to your expectations? Has it changed your view of the world? Have I said anything you disagree with? Tell me & everyone else who passes through here what you think in the comment below.